Church Brew Works Wow! 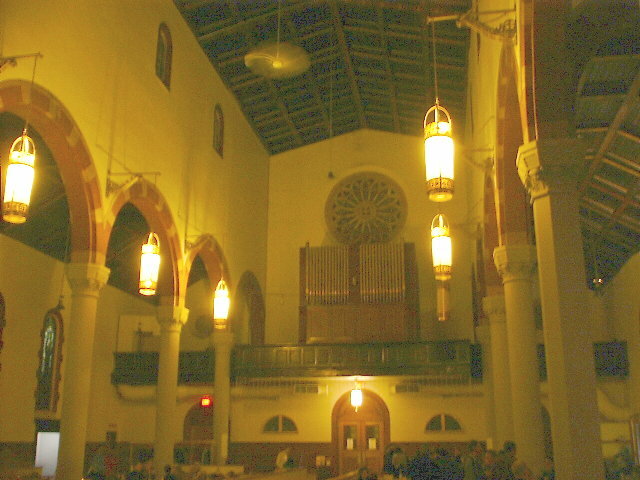 I had been told that this place was in an old church but I was unprepared for the spectacular interior. 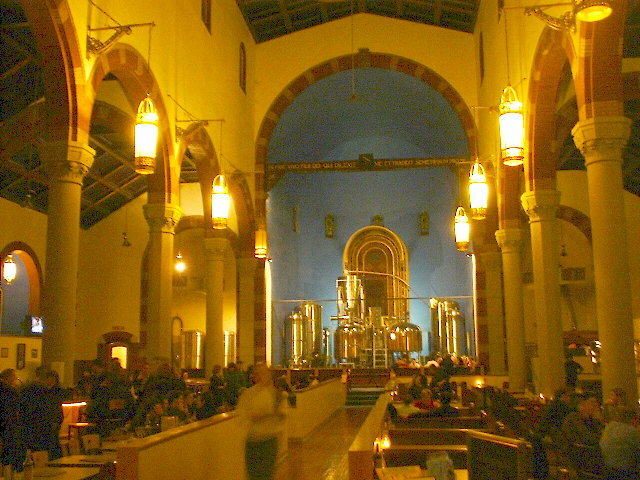 It really is a church, with brewing vessels instead of the altar and dining tables instead of pews. Their beer is superb - I especially enjoyed rather too much of their cask conditioned and hand pumped Honey Amber Ale on my first visit. It's a very popular place for a meal out so you might have to wait some time for a table, but the food is definitely worth the wait - I can recommend the buffalo meat loaf and the crab cakes, and a friend described the pizza as the best he'd eaten! A special mention also for the friendly barman who found time for a laugh and a joke despite being extremely busy.